We are not indifferent and much depends on us! Such a position in life is brought up in pupils of Kazan schools No. 146. 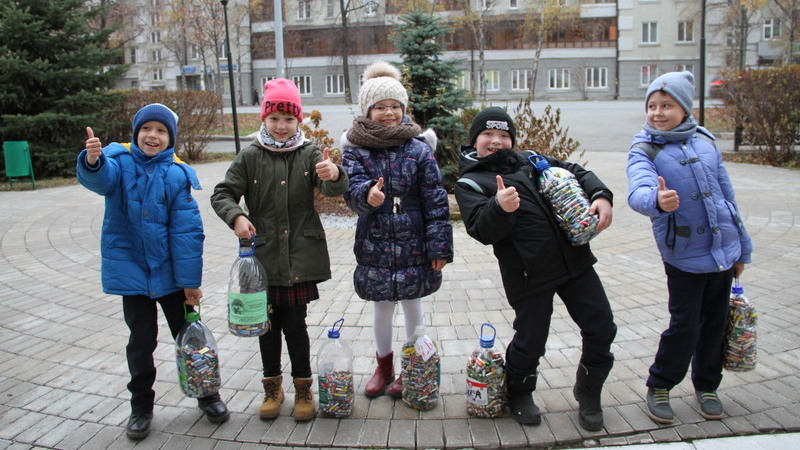 Today, more than 200 kg of used batteries were delivered by second-graders of this educational institution to the Ministry of Ecology and Natural Resources of the Republic of Tatarstan. “We are surprised by the results! The whole school collected from the beginning of the school year. How many batteries could have been thrown away and how many hedgehogs we saved! ”, notes the pupil of 2g grade - Ekaterina Fadeeva. This year, the school also installed battery collection boxes, prepared information sheets and slides to explain to the younger generation danger of a regular battery. Congratulations of Aleksandr Shadrikov on upcoming professional holiday - the Day of Geologist! Dear colleagues, industry veterans! Please accept my sincere and warm congratulations on your professional holiday! By the resident's request, specialists from the Prikamskiy Territorial Administration of the Ministry of Ecology of the Republic of Tatarstan recorded a violation of land legislation. In the course of the audit, it turned out that the ground work was being carried out at the indicated address with the use of an excavator. The fact of unauthorized removal and movement of the fertile soil layer without any permits on the area of ​​20 square meters was discovered. Protocols have been drawn up regarding the individual. For the purpose of environmental education, the environmental education lesson “Clean City Begins with You” was held at the Municipal Budgetary Pre-school Educational Institution “Kindergarten of General Development Type “Romashka” of Buinsk town. The variety and originality of the exhibits complicated the work of our jury. At the end of the event, the teachers of the children's institution organized the exhibition “Wonders of Plastic”. Young pupils of kindergarten No. 5 in Mamadysh started EcoSpring-2019 with a series of environmental events. Young environmentalists with great interest took part in the production of a fairy tale about nature conservation, helping the old oak tree and its protection, the festival “Spring has a fun start!”.